Presidential Library Campus in Little Rock, Arkansas. 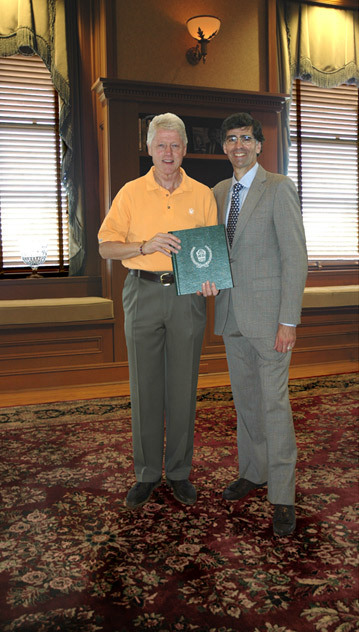 Dennis Dilmaghani, president of the firm, made a personal visit to the Library to meet President Clinton and formally present the specially made carpet with David Martinous of The Martinous Oriental Rug Company in Little Rock, Arkansas. Members of the Clinton family and designers for the William Jefferson Clinton Presidential Library selected the rug with the consultation and advice of David Martinous, a longtime friend and supporter of the former President.